Pumping up big tyres when you are away travelling can seem like a never-ending workout; the volume of air required means you are looking at hundreds of pumps with a small hand pump. The solution is a mini floor pump, like this example from Pro Bike Tool. The Mini Floor Pump is made from high quality stainless steel, and features a good sized barrel; flip down foot stand, and good length hose. 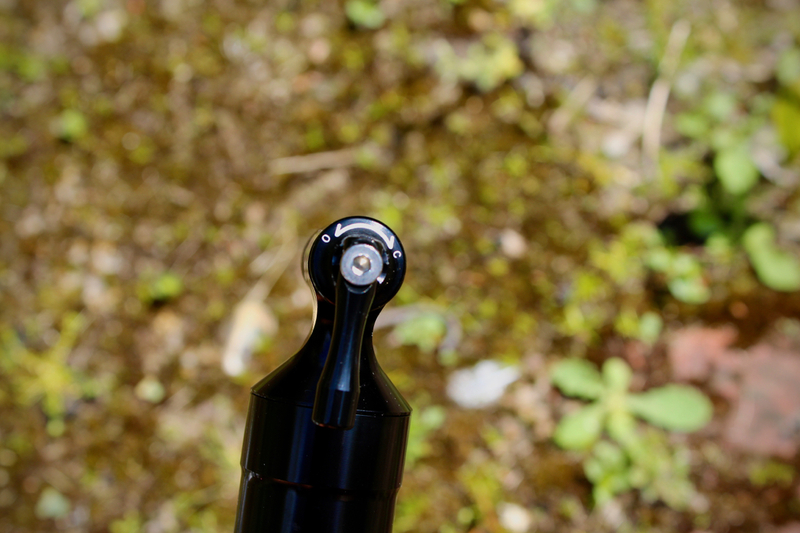 The larger size and stability of the pump compared to a hand pump makes it a lot easier and quicker to use. Less blisters, more inflation. The hose clips into the pump handle for easy transportation, and the pump itself comes with a plastic bracket that allows you to take it with you underneath a bottle cage; although it is worth nothing that it's quite a size to do this, and the hose did rattle around a bit when I tried it on my touring bike. Overall, this is a well made, well designed pump that will allow a faster and easier inflation of your tyres than a normal bike hand pump. 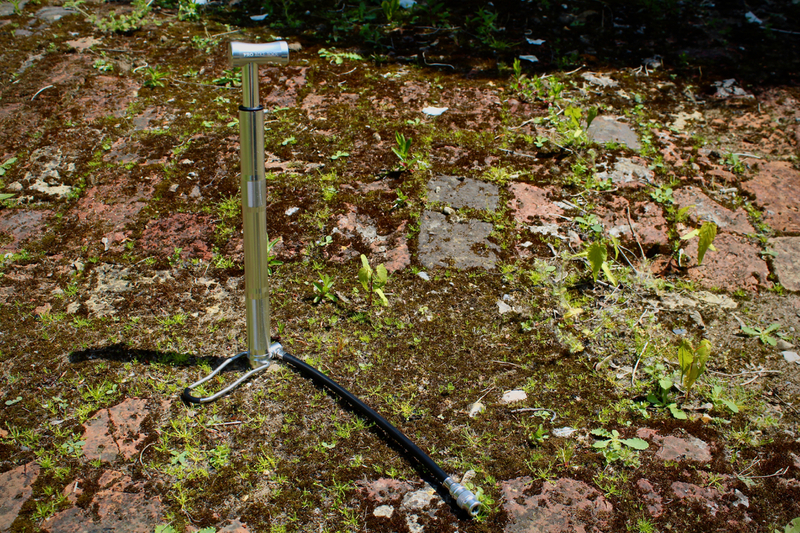 A compact bike hand pump should be one of your every ride essentials. 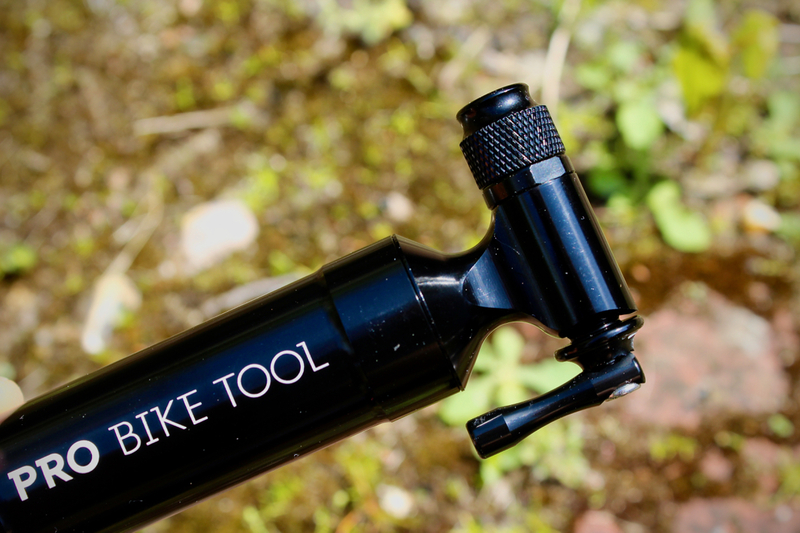 Rather than the designs that clip straight onto the valve, I favour those with a design like this one from Pro Bike Tool - where a screw-on hose connects the pump to the valve head. This is because it provides a more secure high-pressure connection with the valve, and you are also less likely to damage the valve from over-enthusiastic pumping. 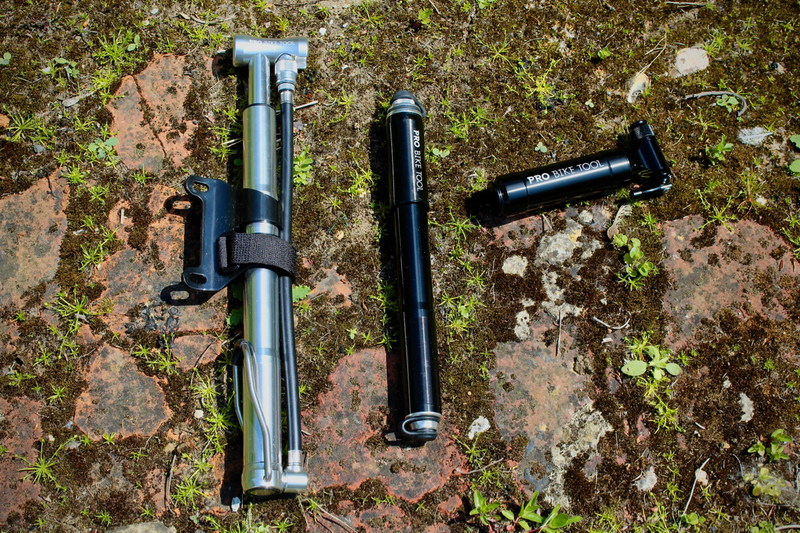 The Pro Bike Tool Mini Pump is a smart machined aluminium pump, similar in design and quality to those from Lezyne (but with a lower price point). It is compatible with both Presta and Schrader valves thanks to the reversible hose, and there is also a model with an inbuilt pressure gauge. The pump work faultlessly, and it takes around 250 pumps to fully inflate a 25c road tyre. It is well made, with a strong seal, and promises to last a long time. The pressure gauge seem a little jumpy and not overly accurate, but it is a helpful approximate gauge of your pumping progress. 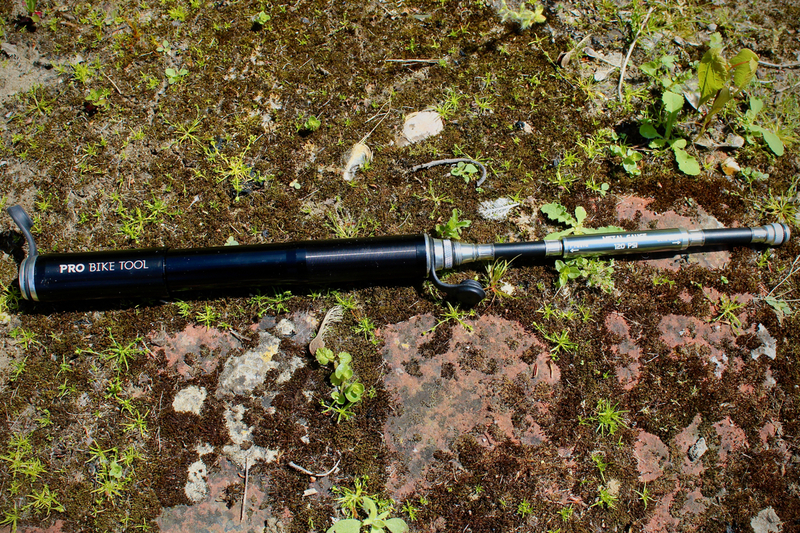 This has proven to be a well made and good value bike mini-pump. The final inflation device on review here from Pro Bike Tool is the CO2 Inflator with Canister Storage. This is a smart little unit, which is ideal for anyone that favours gas cartridges rather than a hand-pump. There are numerous CO2 inflator designs on the market; from the cheap and simple 'screw in and pop' designs that offer no pressure adjustment, to the superior controlled inflation models like this example from Pro Bike Tool. The device allows you to screw a canister into the head unit with the control lever closed, and then gradually release pressure into the valve of the inner tube. The canister storage area doubles as both protection from 'hand freeze' that can occur as you release pressure from a cartridge, but also helps protect the cartridge from becoming unscrewed in transit. It is a well thought out design, and works without fault, with the added benefit that it means you don't need to use a full canister if it isn't required. Well made, and built to last. A good example of a CO2 inflator that ticks all the boxes.